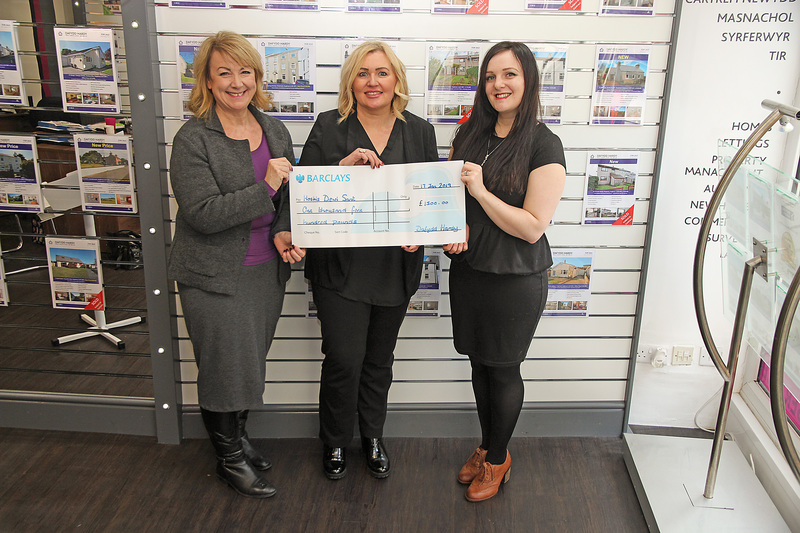 In a fantastic effort from our Holyhead team and Land & New Homes Manager Penny we have raised a massive £1500 for St David’s Hospice, now merged with Hospice at Home. 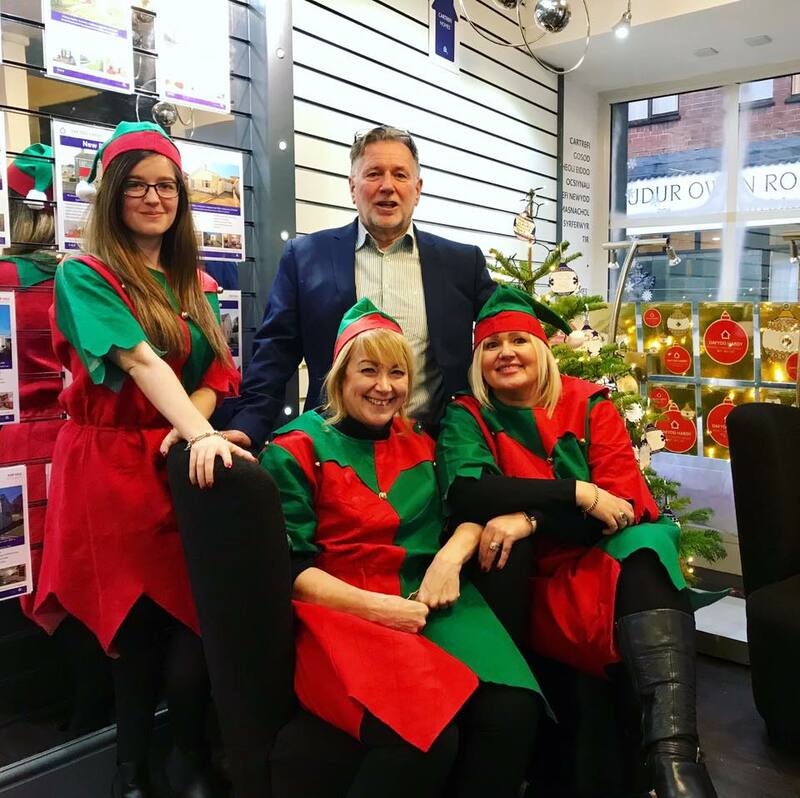 (From Left: Penny Lofts, our Land & New Homes Manager and Bethan Maitland, Senior Sales Negotiator with Ella Baxendale, Area Fundraiser for St David's Hospice). 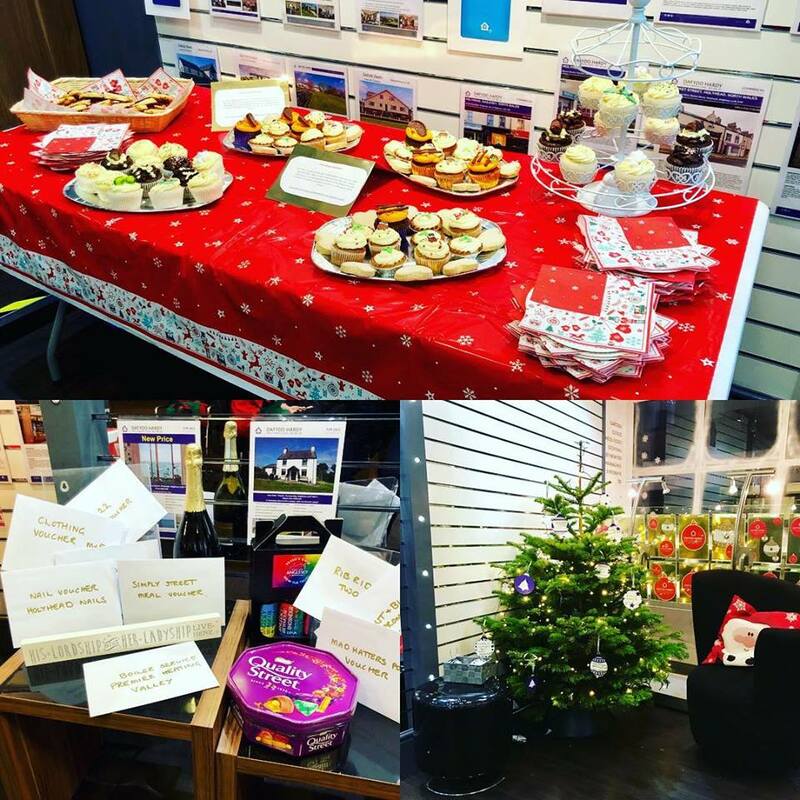 The office held an open day on the 5th of December where there were mince pies, mulled wine and music from a choir who sang between 2-4pm. There was a great turnout and many happy faces as we all got into the festive spirit. The raffle gave customers the opportunity to win some fantastic prizes! There were rib ride vouchers, local restaurant voucher, alcohol, and lots of other goodies at £1 per strip. A memory tree, located at the storefront, was festooned with baubles kindly donated by customers – each with their own message to a loved one for Christmas. The donations will benefit the local community greatly as they will contribute towards creating a new palliative care ward at Penrhos Stanley Hospital. This means that people on Anglesey will no longer have to travel to Llandudno to visit loved ones or receive their end-of-life care. Ella Baxendale, Regional Fundraiser for St David's hospice said: "he funds raised will go towards converting a disused ward space in the hospital, to a four-bedded satellite hospice unit." "The Hospice is keen to eliminate the postcode lottery that exists within North West Wales to ensure that care can be equally accessed by all who need it."